Despite all my kvetching about slow weeks, this one really is scraping the bottom, with a grand total of ONE book that I’ll be picking up. Marvel’s launching a couple NOW titles this week, but they’re Deadpool and Iron Man, so not much is on the line there. Here are this week’s new and noteworthy titles. 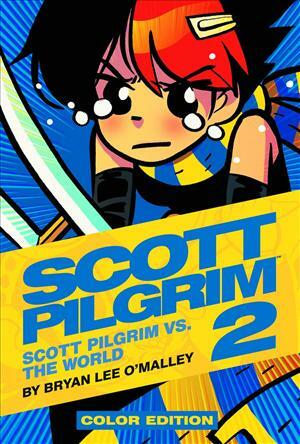 SCOTT PI LGRIM COLOR HC VOL 02 – Matt and I are both big Pilgrimheads (or whatever we’re called), but I’m ashamed to admit that one of my problems with the book that it’s sometimes hard to tell characters apart due to them all having similar builds. Even Bryan Lee O’Malley has admitted Young Neil looks quite a bit like Scott. With that in mind, I’m psyched that all the SP books are getting color versions, though I think I’m saving my bones for the inevitable (and hopefully larger-sized) one-volume collection. 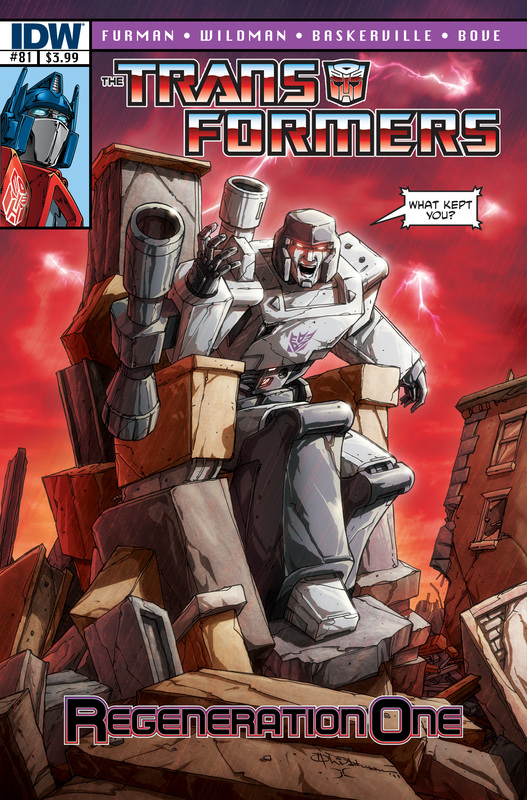 TRANSFORMERS REGENERATION ONE #85 – The “final” battle between Optimus Prime and Megatron is here! And while I don’t believe that in the slightest — battles between those two are Transformer bread and butter — without continuity to adhere to or a juvenile audience to appeal to Simon Furman and Andrew Wildman have taken a decidedly darker turn and it truly does feel like a world where anything can happen. In non-blog related news, I have a bit of an announcement to make. I’m kicking off a side-project I’ve had on my mind for quite some time: a new publishing venture called 8th Wonder Press. It’s time to try to give something back to the medium I love so much and I’m going to start here. Our first project is a comic anthology to launch next summer, and we are currently accepting submissions to be a part. Please check us out, and if you — or someone you know that totally isn’t you! — are interested in getting published, we’d love to hear from you. 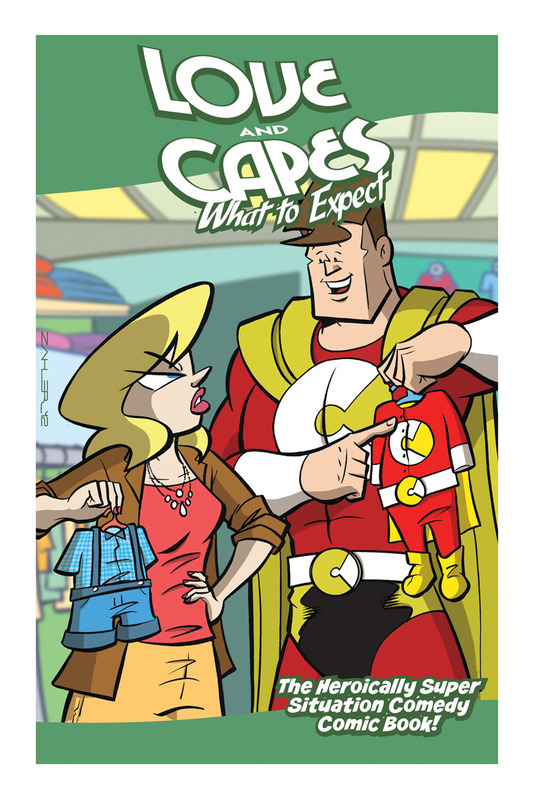 My favorite cover of this week’s comics? 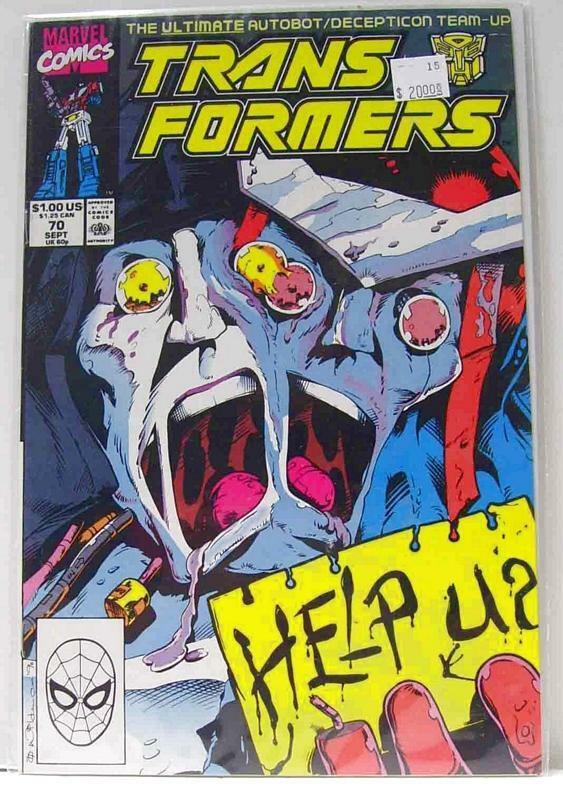 Transformers: Regeneration One #84. Mainly because it reminds me of this little gem from 20 years ago. 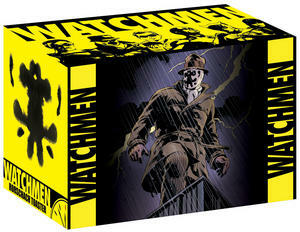 Due to the Labor Day holiday the Diamond new releases was put out a day late, but Wednesday is still New Comic Book Day! Here are this week’s new and noteworthy titles. ATLAS UNIFIED #0 – After spotting a pretty killer description while doing my previews column, I was convinced Atlas United was the best book nobody had ever heard of. Then I snagged issue 1 from my LCS and I was convinced that Tom Peyer was the victim of identity theft. This is not a good book, and I apologize to anyone I may have misled. 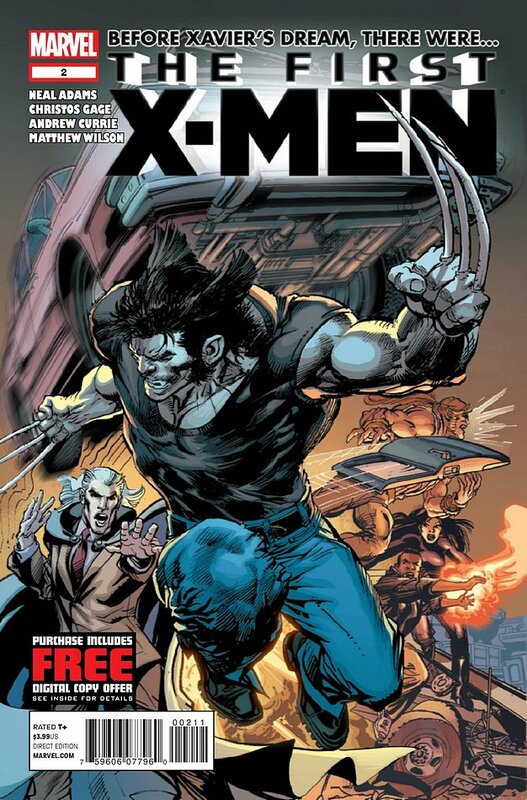 FIRST X-MEN #2 – Neal Adams, who I revere as an artist, is turning his attention to the already-fuzzy early-X-Men continuity. And if Batman: Odyssey is the level of quality we can expect here, there is no way in Hell I’m spending money on this book. MANHATTAN PROJECTS TP VOL 01 SCIENCE BAD – If you haven’t been snagging the individual issues, the first collection is only $15! A steal! THIEF OF THIEVES #8 and THIEF OF THIEVES TP VOL 01 – I haven’t had much to say about ToT, mainly because it’s a book that lives in the little details, but it’s a good heist book, and the idea of it as an ongoing series intrigues me greatly. 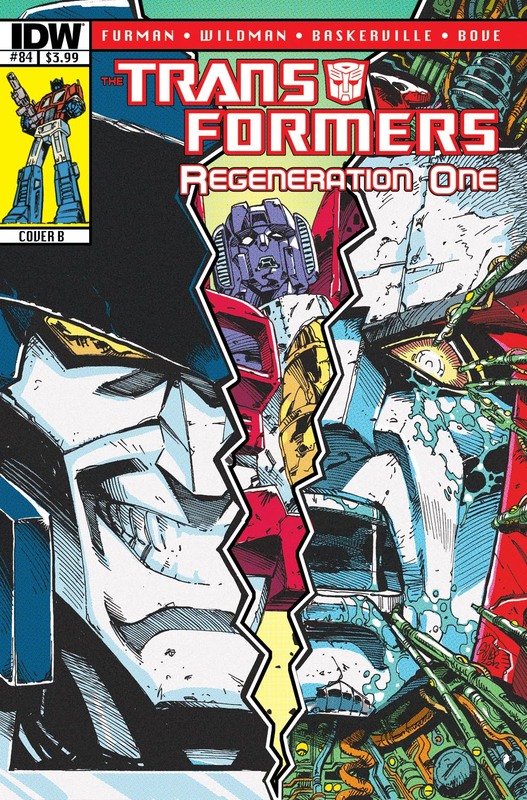 TRANSFORMERS REGENERATION ONE #83 – I’ve tried to keep my expectations low for Regen One, but I’ve really, REALLY liked it. It’s well worth buying if you have fond memories of the original Marvel run. That’s it for this week, what looks good to you? Oh, Diamond…The reason I write this on Monday is because that’s when I have time to write! 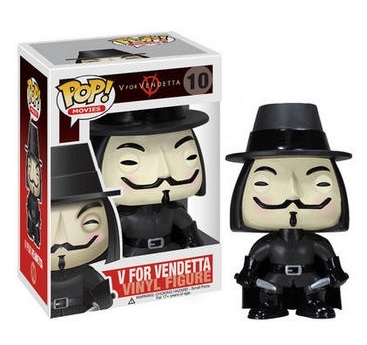 When you post the new releases on Tuesday, that just messes everything up! The good news, though? Holy cats, there’s a ton of good comics coming out this week! Here are this week’s new and noteworthy title. ADVENTURE TIME MARCELINE SCREAM QUEENS #1 – I don’t know about this one. I lovelovelove the main Adventure Time title, but I’m not a huge Marcelline fan so I’m not as interested in her spin-off. If it’s as good as the main book, though, it’ll be a winner. CHEW SECRET AGENT POYO #1 – S o this is a Chew spin-off about a rooster, right? Because that sounds AMAZING! CROW #1 – Another book about a bird! I’ve got to give ’em a chance, The Crow is a pretty solid character that has been let down by some bad writing. DARK AVENGERS #177 – Issue 176 was back to the Jeff Parker Thunderbolts I’ve come to know and love, as Man-Thing returns and we get back to business as expected. FANTASTIC FOUR ANNUAL #33 – I don’t know what’s more impressive, that Marvel’s putting out an annual or they’re continuing with the original numbering. Well played, Marvel! HOAX HUNTERS #1 – I liked the Zero issue except for the art, so with a new artist I have high hopes. PUNK ROCK JESUS #1 – Sean Murphy’s preview art looks great and he’s earned the chance to show what he’s got writing. 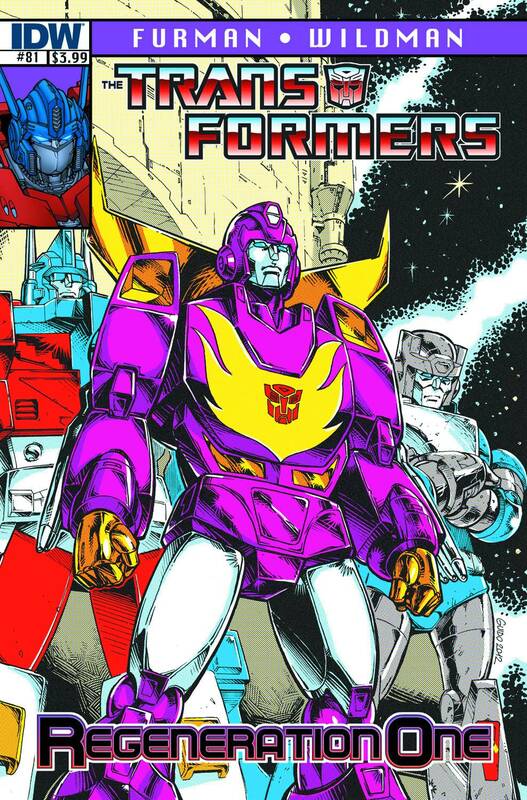 TRANSFORMERS REGENERATION ONE 100 PG SPECTACULAR – Not sure what issues will be in here, but 100 pages for $8 works for me. YOUNGBLOOD #72 – Who’da thunk that Youngblood would have been such a highlight of The Rob’s Extreme relaunch? It makes sense, since that’s the book that launched Image, but we’ve been let down before. Worth a look, if you’re interested in the concept and want to give it a shot.